Welcome to the land of travels with author Rue Allyn, where we visit places, people and times, fictional and not. I recently had the interesting experience of responding to a FB request from a fellow author. She wanted help naming a character. I’ve had trouble with this from time to time, as I suspect most authors have. So I developed a few methods for selecting character and place names. Since I write fiction, I prefer not to use the names of real people and real places if I can avoid it. Occasionally that isn’t possible. For example, Edward I, aka Longshamks, appears briefly in several of my medieval romances. He was a major player in English history, but his role in my fictional work is as a supporting character. Since he was a real person, the least I can do is use his real name. So what methods do I use for selecting fictional setting and character names? I use research into the history of a country. For example, the heroine in Knight Errant is named Juliana in honor of a real medieval holy woman and mystic named Julian of Norwich. You can find details about her fascinating life and visions here, http://juliancentre.org/about/about-julian-of-norwich.html. As for my heroine’s family name, ‘Verault.’ I needed a name from a French or Norman family that was not too prominent during the late 13th century when Knight Errant is set. I started my search at https://blogs.ancestry.com/cm/4-types-of-french-surnames-which-one-is-yours/. While this site did not give me ‘Verault’ specifically, it led me to search place names and locations from which my fictional Juliana’s family might have come. And you may ask why I wanted a French name for an English heroine? About 200 years prior to the action in Knight Errant, William of Normandy (a Duchy adjacent to France–an which had language traits in common with France) conquered England and became William I of England. He brought with him knights and courtiers from Normandy to whom he gave lands in England as a reward for their loyalty and help. He also imposed a large number of Norman customs and his native language on England. While the Anglo-saxons and the Normans have long since resolved their differences and become one English people, the Norman invasion of England left an indelible mark on English person and place names. I use the character’s personality. The best example I can give of using a character’s personality to name that character is Talon de Quereste from The Herald’s Heart. Now there may well be some other character or person somewhere or from some era named Talon. However, I’d never before encountered the use of ‘talon’ as a first name. Nonetheless, I knew my hero was sharp-minded and tenacious. A bird’s talons are very sharp and very strong. They have to be, since they are key elements in the survival of most avian species. So I have a fictional man who is both sharp and tenacious. Other words might have worked. Indeed we’ve all encountered characters named things like Hawk, Raven, and Wolf. I wanted something similar, but different enough to stand out, hence, Talon. In addition, this hero’s name had to be period appropriate. Most etymologies of Talon show the ‘origin’ or first appearance of the word in print to be about 1400 AD, https://www.etymonline.com/word/talon. That’s one hundred plus years after my story takes place. Why then did I feel the use of Talon was appropriate? Well, scholars of English language history postulate that any word’s ‘origin’ pre-dates actual usage in print by at least two hundred years or more. Prior to the advent of the printing press (about 1436 in Europe) most records were hand written, and establishing the date of origin for hand written documents is not easy. I chose to follow the scholarly principle for word usage of at least two hundred years prior to the first written record of the word. That puts ‘talon’ well within the era and geography of the setting for The Herald’s Heart. live in Michigan where the National Cherry Festival is held every year in Traverse City . I wrote One Moment’s Pleasure during the spring and summer, and of course a lot of talk and advertising about the Cherry Festival was going on. What better name for a prostitute than, Cherry, I thought. However, Madam Duval was no ordinary prostitute. She had a lot of pride and being from New Orleans had a fair number of French connections in her background. Hence, her name became, Cerise. Just to be certain that Cerise was period appropriate, I double-checked the etymology of the name https://www.etymonline.com/word/cherry. Depending on the source, Cerise originated as a word anywhere between the 12th and 19th centuries. You already know my preferences (stated above) for determining first usages. Whether the 12th or the 19th century applies, Cerise is still period appropriate for the mid-19th-century American west. Are these the only methods for winning the fictional name game? Hardly, but these methods work fairly well for me. One added benefit is that I often find inspiration and story ideas as I search for just the right name for my character. My books are filled with interesting characters whose names are intended to reflect their personalities and fit the settings of their stories. If you’d like to know how I decided on a specific name in one of my books, please feel free to ask me via email at contact@RueAllyn.com. ABOUT RUE: When not writing, learning to play new games, (I’m starting to learn Bridge) and working jigsaw puzzles, Rue travels the world and surfs the internet in search of background material and inspiration for her next heart melting romance. 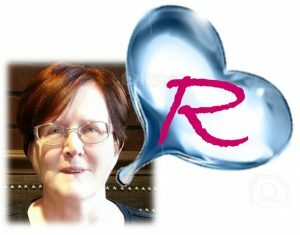 She loves to hear from readers, and you may contact her at <a href=”mailto:contact@RueAllyn.com” title=”Contact Rue Allyn” target=”_blank”>contact@RueAllyn.com</a>. She can’t wait to hear from you. Knight Errant Last Excerpt: Whose blood? Juliana’s? If so, who attacked her? Basti! It had to be. No one but that damned ship’s captain could know Juliana was here, and he had bargained with the priest’s minions. How long since she’d been taken, where exactly was she being held, and how to find answers to those questions? He’d start with the traitorous captain. Robert raced from the inn. If the priest had her, then she was among the accused heretics he would try. If found guilty, she would burn at the stake. But even before that she would suffer untold tortures. The thought of Juliana broken in body and spirit chilled Robert’s soul. No one deserved the cruelty Basti was famous for, least of all her. He must find a way to rescue her. Even if it cost him his hope of heaven. This is the last excerpt. Please share your thoughts in a comment. Today a hero’s life is at stake. Lindsey Excerpt 12: While supporting Logan’s head, Lindsey held a flask to his parched, cracked lips and dribbled the liquid into his mouth. He sputtered, gulping at the water. Today Bambi Lynn saves her hero, Lucan, in the nick of time. Lucan Excerpt 11: Just when he thought the end had come, that he had lost the battle, the man’s head flew clean off his shoulders. Blood spurted red as dawn from the gaping hole, splattering him with its warmth. The metallic smell assaulted him as the headless body began to topple. Before it could fall on top of him, he shoved it aside and found Màili standing over him. Blood streaked her face, giving her the appearance of an ancient shield-maiden. She grinned and stuck out her hand to haul him to his feet. BLURB: Neala Comyn, wife of a powerful laird, wants to end the pain and suffering of an abusive marriage. She is a woman without hope, believing God has forsaken her. When she is kidnapped by a rival laird who claims to be a god himself, her faith is further shaken. Could Lucan Munro be the salvation she has prayed for? Or will her sins condemn her to eternal damnation? Now we get to see what a medieval bully looks like. The Highlander’s English Woman Excerpt 10: Jamie didn’t care for bullies or being baited by them. He wouldn’t fight. “Here, here Bryce. That’s enough.” Richard grabbed his neighbor’s arm but Bryce shook him off. Reeve pulled Richard back. “Enjoy the spectacle. It’s time he learned his place,” Reeve said. Jamie said nothing. He held his fists at his side and stepped back again. BLURB: Laura Reynolds is in love with her long-time friend, Jamie Maxwell Collins. She adores his playful sense of humor, caring nature as well as his strong sense of family and honor. Cathy MacRae show us that sometimes betrayal is closer than you think. The Highlander’s French Bride Excerpt 9: She opened her eyes, settling her gaze on Melisende’s shocked face. Follow along for the next excerpt on Lane McFarland’s Medieval Monday blog April 10! Blurb: Heir to a lairdship, Kinnon Macrory is driven to prove his worth by fighting the English on the battlefields of France. His dreams of heroic valor are destroyed by the realities of war—the atrocities visited by fellow soldiers on the very people he is sworn to protect. Three years in a French prison for a crime he did not commit leave Kinnon longing for the one thing of beauty in his war-torn life—a young woman of great kindness and wisdom named Melisende. Damien did not answer. What answer could he give Roke? That he had failed? Never. In keeping Aurora alive, he succeeded far beyond anything he could have imagined. And he would see her safe, no matter the cost to himself. Damien was quiet. He could not tell him the truth of his intent. A new mission which he had every intention of completing. “There was no reason to stay,” Damien admitted. And it was the truth. He couldn’t stay in Acquitaine. Not seeing the agony and condemnation in Aurora’s eyes every time he looked at her. Today we look at a villain who threatens marriage. “Never heard of that,” Mortimer shouted. “You lie.” Mortimer’s voice shook with fury. Blurb: He must pursue his enemy; she must protect her people. Can their love survive the duties that drive them apart?